Composition Shingles (Asphalt Shingles) are the most common shingle you will see on homes across the Michigan area, and in fact, across the USA. 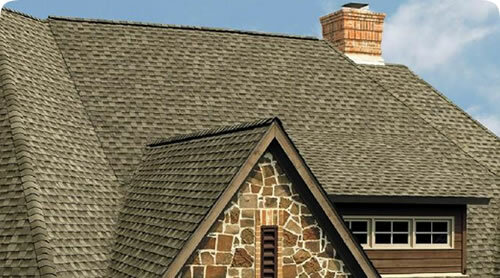 Up to 80% of all homes in the United States have composition shingle roofs. Premium Composition/Asphalt Shingle products are called “architectural” or “dimensional” shingles. These thicker, often laminated shingles cast shadow lines like a thick wood shake. As you can see in the picture above, the result is a rich, textured appearance rather than the traditional flat surface of standard three-tab shingles. All asphalt shingles are coated with a layer of mineral granules that protect the shingle from sunlight, add color and, in some cases, help resist algae and fungus growth. Manufacturers can discourage unwanted plant life by adding copper or zinc to the granule mix. 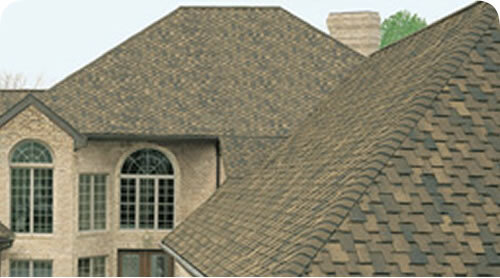 Hankins Homescapes works with the top manufacturers to give you the greatest selection of Composition Shingles. The choices can be mind boggling but we can help you quickly sort through your options based on your budget, architecture, color and preferences. Give us a call today to set a free consultation and estimate.